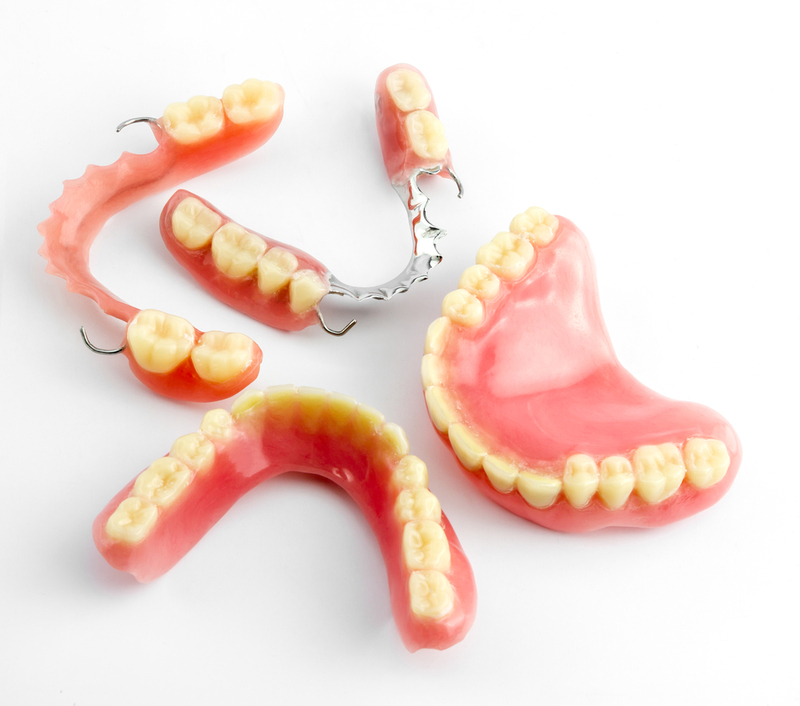 Dentures are a removable appliance used to replace missing teeth. They are fabricated using a gum coloured acrylic base that may be strengthened with cobalt chrome. High quality and life-like denture teeth are attached to the acrylic so your denture will restore lost teeth and gum tissues. Your new denture will help with your speech, will make it easier to chew food, and is designed to provide support to your lips and cheeks, as well as improving the appearance of your smile. Partial dentures replace one or several teeth. Full dentures replace your entire set of upper or lower teeth. Dentures are kept in place by either using clasps or special attachments which anchor around neighbouring teeth or by the dentures’ natural suction. All of our dentures are designed by our dentist who will closely collaborate with our dental technician to ensure your new denture is fully customised. 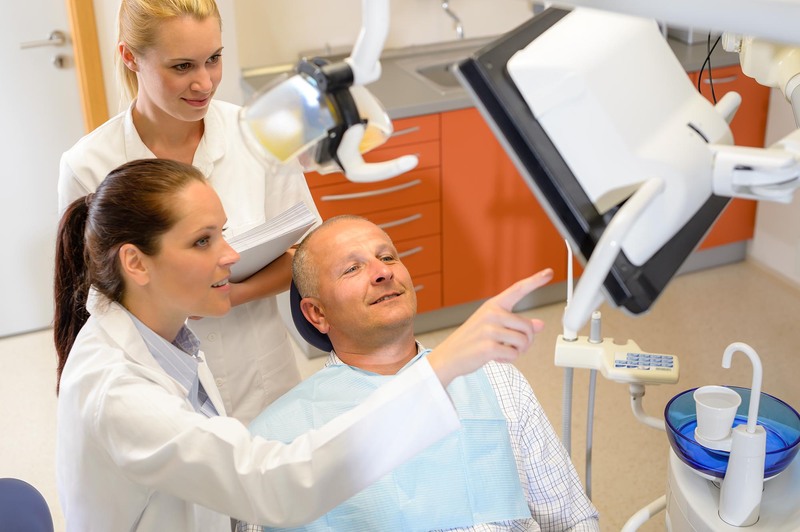 You can expect to receive teeth that are fully functional and which will look and feel great. Existing restorations such as fillings and crowns, particularly for teeth that are used to support partial dentures. If you have no natural teeth we will still need to assess your gums and underlying bone. We will explain the procedure to you more thoroughly and you will be given a treatment plan showing all the stages and the costs. Generally, between 2 and 4 appointments will be necessary as dentures are made in stages. The stages are the same whether you are having Full dentures or Partial dentures. The only exception being an ‘Immediate denture’, when a tooth is extracted and the denture is fitted immediately to replace the missing tooth. This denture will then have to be adjusted or replaced in 3 to 6 months after the extraction as your gums will gradually change shape. 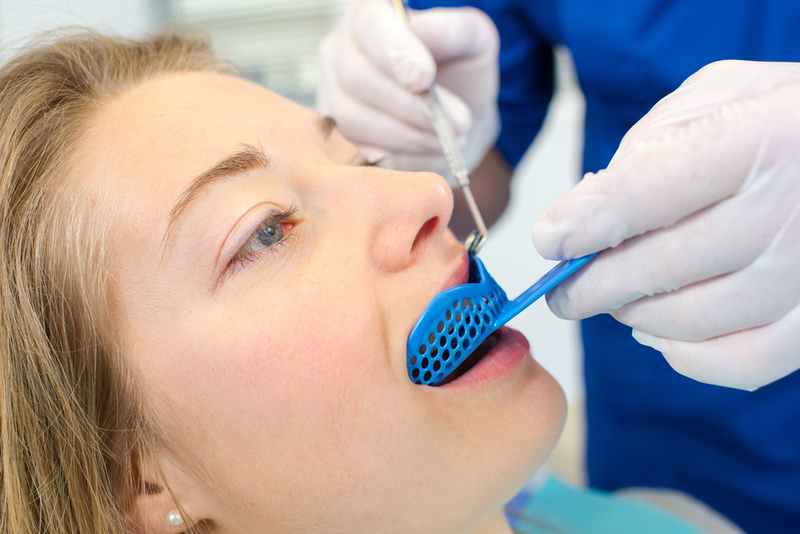 Appointment One – Impressions (moulds) will be taken of both your upper and lower teeth. These are sent to the dental laboratory where our technician will fabricate a ‘special’ tray designed to fit your mouth perfectly and a wax bite block to record the way your teeth bite together. Appointment Two – Impressions (moulds) will again be taken, using the ‘special tray’ made by our technician. The purpose of a special tray is to achieve a more accurate mould of your teeth and gums. A registration of how your teeth bite together will be recorded using the wax bite block. This bite block also records the correct distance between your upper and lower jaws, a measurement that is essential when designing your denture. At this stage we will also take the shade of your teeth. If you are having an upper and lower denture, then you will have a bit more freedom over your tooth colour and we can advise you on picking a shade that will look natural and which will compliment your skin tones. All this information including your impressions and the wax block is sent to the laboratory where our technician will construct your try-in denture. Appointment Three – The try-in denture; Denture teeth in your chosen shade and in a complimentary shape are set into tooth coloured wax, replicating the shape of your gums. 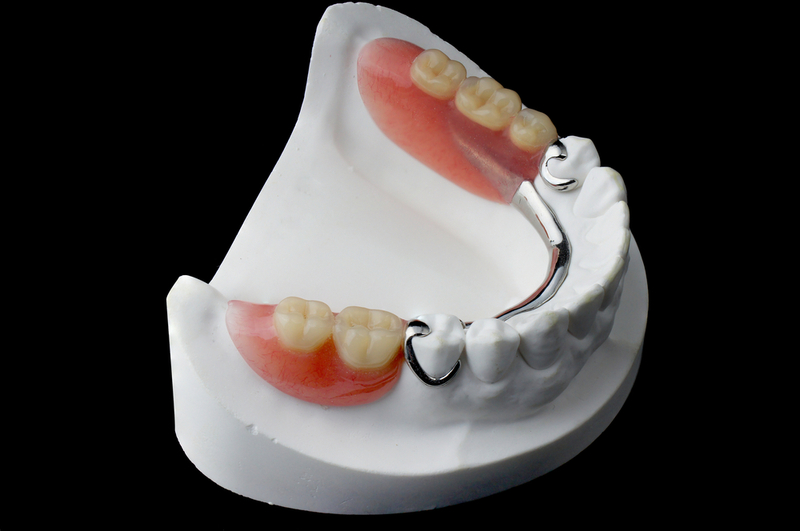 If you have chosen a Cobalt Chrome denture, the denture teeth will be attached to the metal framework with wax. 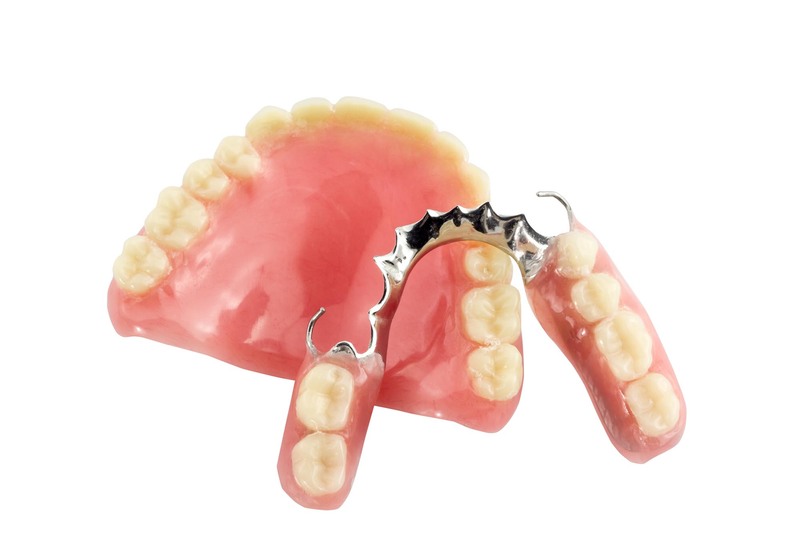 Your dentures will be tried in to ensure they fit correctly, are comfortable and that the teeth bite together correctly. At this stage it is easy to make any adjustments and of course you will get to see how your new teeth will look. Once our dentist is a happy with the fit and appearance, the dentures are return to the dental laboratory so the pink wax can be replaced with pink gum coloured acrylic. 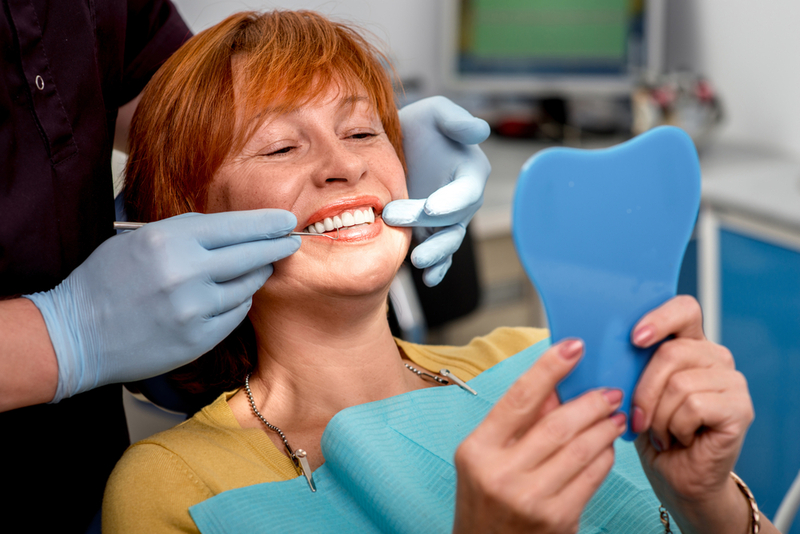 Appointment Four – Your dentures will be fitted at this appointment and are carefully adjusted to ensure they will be comfortable. It’s likely we will need to see you for another follow-up appointment in a week or so to make more minor adjustments as you become accustomed to your new teeth. It will take a while getting used to new dentures, time and patience is needed. Upper dentures may affect your speech for a few days whilst your tongue and facial muscles get used to having the denture in place. Your new denture may initially cause a few sore spots and we can easily adjust it at our dental clinic until the fit is comfortable. There is no need to worry as we do give you lots of information on how to get used to new dentures, including the kind of foods you can initially eat, as it can be helpful to stick to easy to eat foods for the first few days before gradually introducing more choices into your diet. It is vitally important to keep your dentures clean and hygienic. Rinse them after meals if possible and brush them twice a day using a proprietary denture cleaner and denture brush or soap and water. You should not use toothpaste as this is too harsh and could damage your denture. Please only wear your dentures during the day as they need to be removed at night to give your gums a rest, as this will help keep them healthy. Your dentures can then be sterilised in a denture solution while you sleep. Always rinse or brush your dentures before putting them back in your mouth. If your dentures get stains that you cannot remove ask us about cleaning them professionally at your next appointment. Even if you don’t have any natural teeth remaining, it’s still important to come and see us at regular intervals for check-ups and this is a great opportunity to discuss any issues you might be having with your dentures and for us to check their fit. Our dentist will need to look for changes in your gums and the underlying bone. We can also to check your tongue, throat, cheeks & lips for infection or signs of oral cancer.